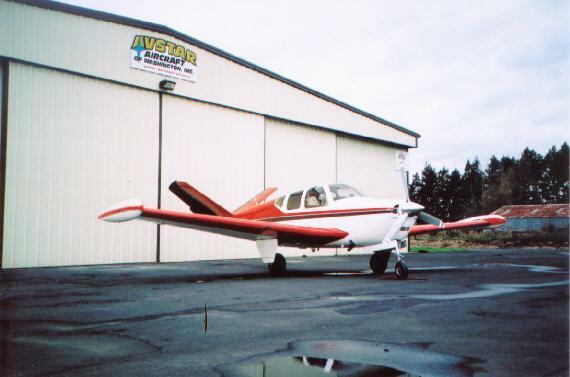 Photo Gallery | AVSTAR Aircraft of Washington, Inc. 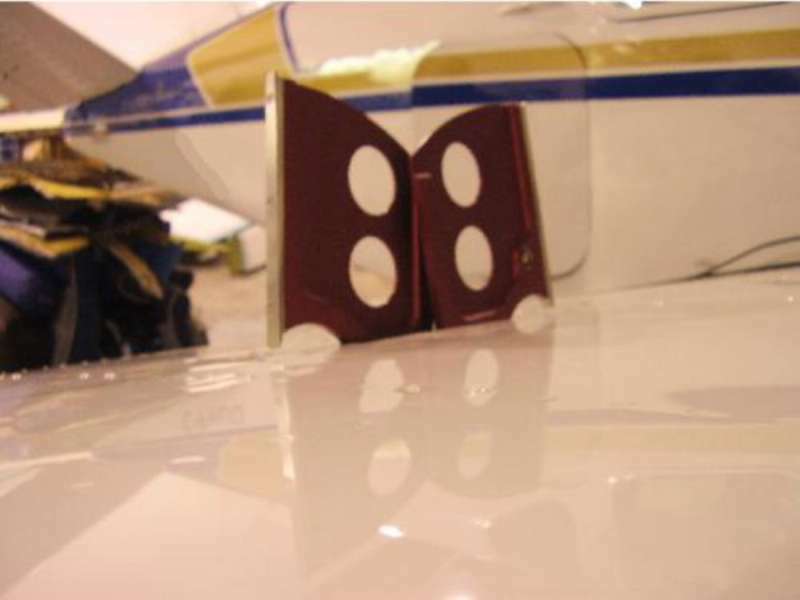 Here are a few of our projects, customer airplanes and interesting things we have found. Note: To decrease your download time we have made these pictures thumbnails. Just click on any picture to see a larger version of it. If they don't have a V-tail, then I guess they don't need any tail....! Mike finishes the landing gear portion of a pre-purchase inspection on the road. 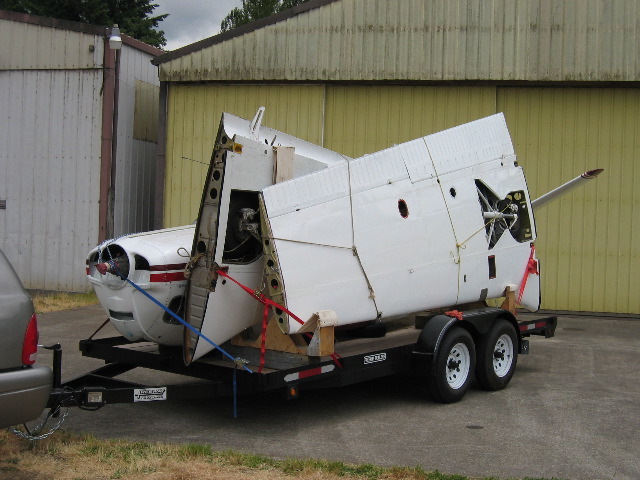 A Cessna 206 that had her cargo door pop open in flight is ready to be picked up. Beech Bonanza ready to fly after a bird strike. 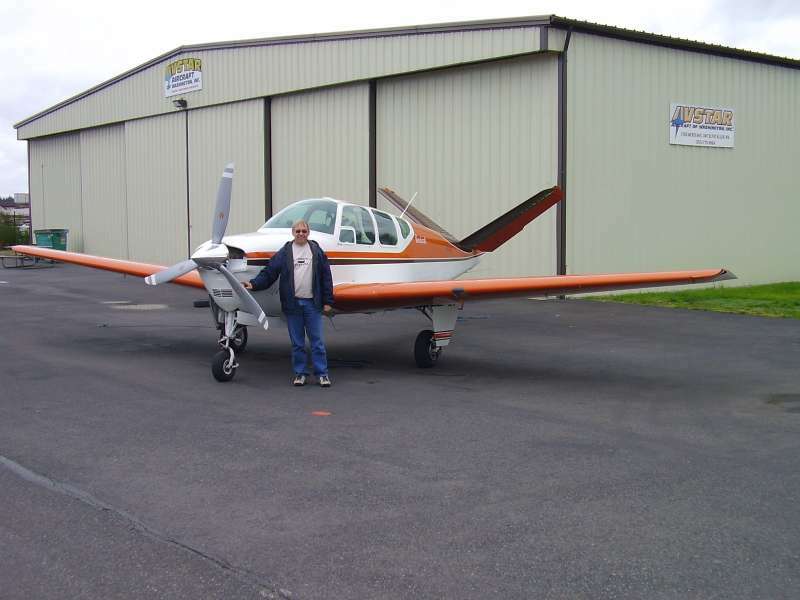 A very happy customer ready to fly with his newly upgraded engine and new EDM-930. Sometimes we just have to go get them. 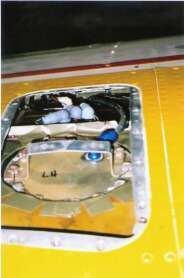 1999 Mooney M20M, after hail repair. This Beech Debonair is showing off her newly installed Nav antennas. 1966 Beech V35, all control surfaces repaired. 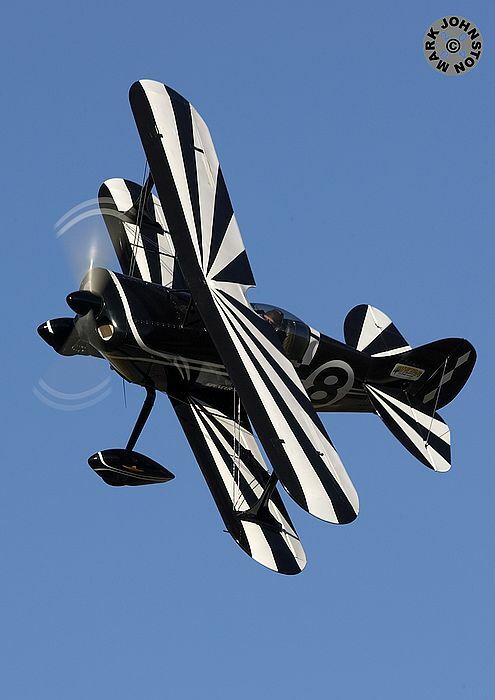 Local man wins Bronze Biplane at Reno, 2004. A Beech H35 Bonanza all spruced up. 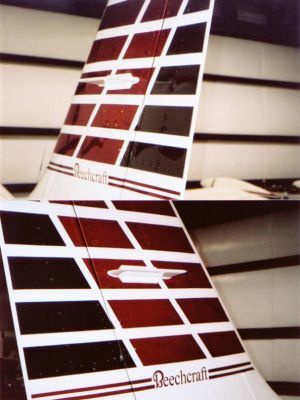 1969 Beech V35A, right wing skins replaced. 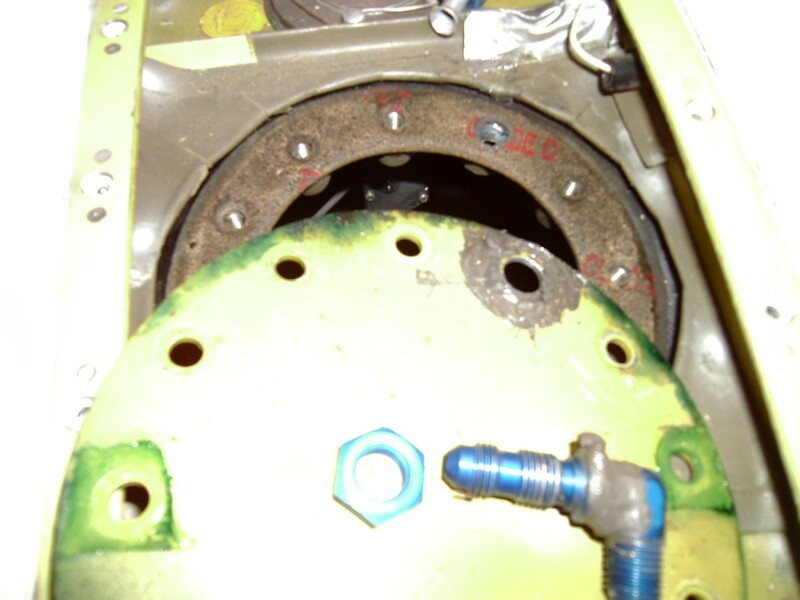 Beech Bonanza speed brakes may not look imposing, but they get the job done! Polished twin Bonanza with new windows and speed slope windshield. 1961 Beech N35 Bonanza, new side windows. New wing tip tanks for a Beech Debonair. Big or small, we work on them all! 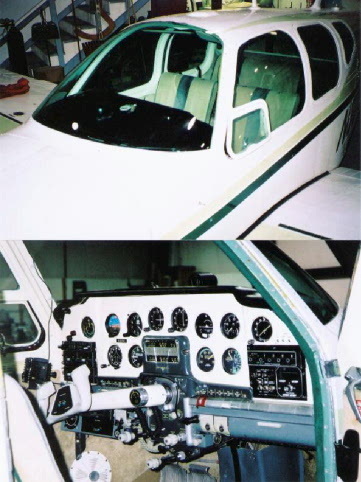 This Beech J35 Bonanza received a new windshield and the panel was spruced up. 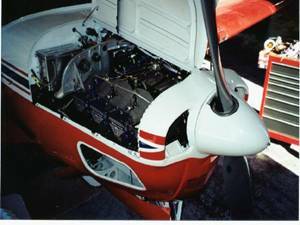 D'Shannon Tip Tank and window installation, 1974 Beech V35B. 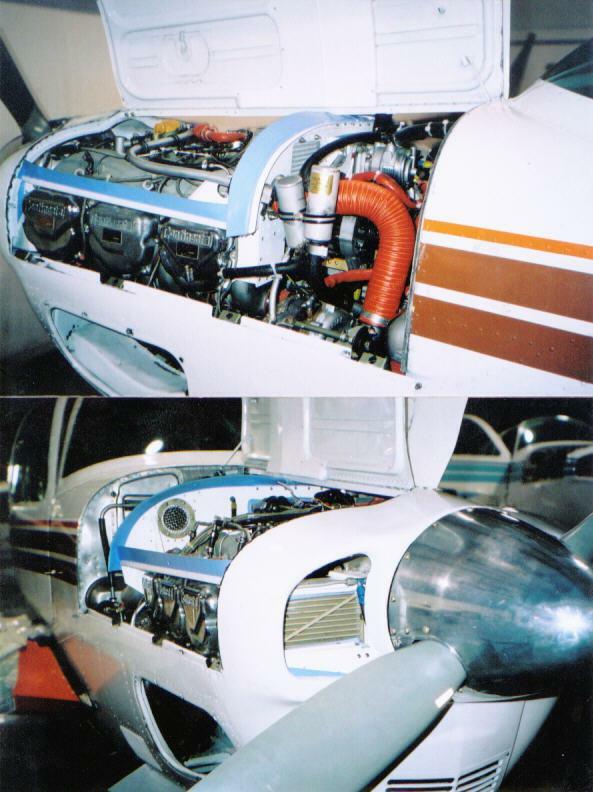 A Beech G35 Bonanza gets new cooling for it's new turbos. 1994 Beech/Tradewinds A36, new D'Shannon windshield. 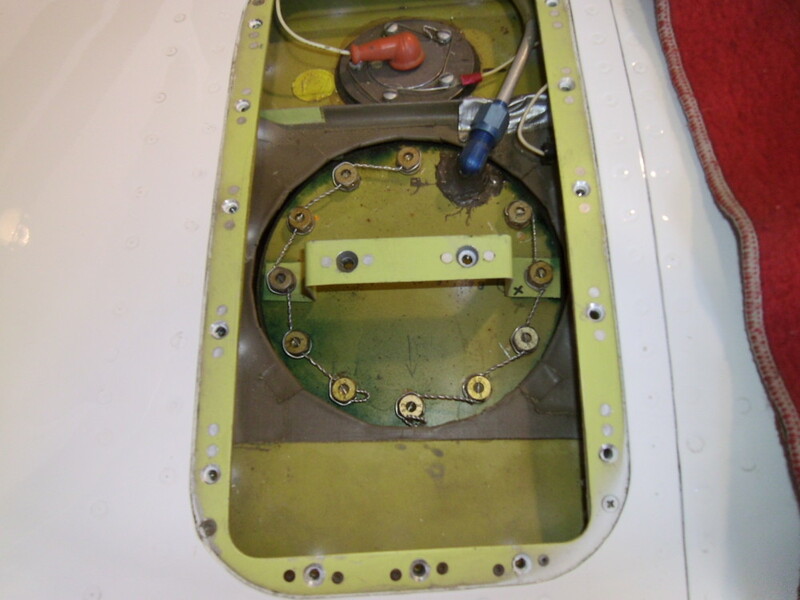 Cessna 337 instrument panel gets a fresh new look. 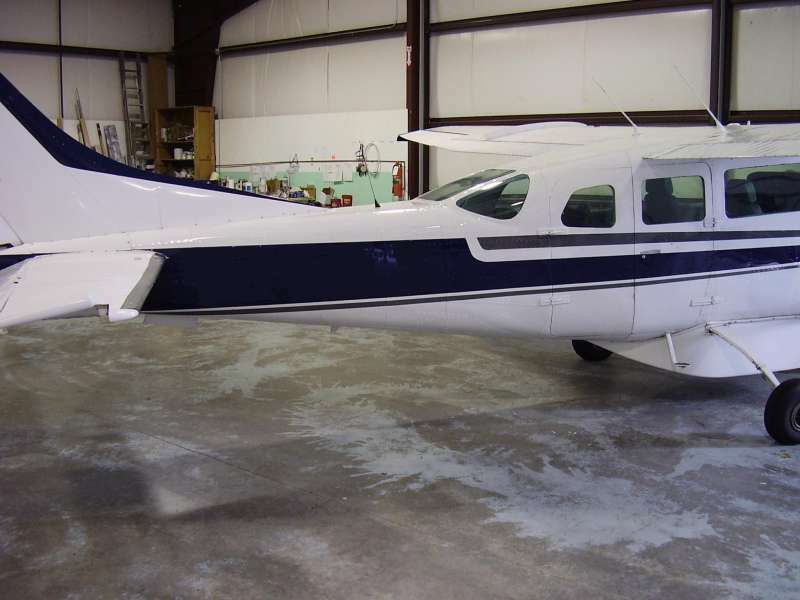 1990 Beech F33A, D’Shannon Tip Tanks. 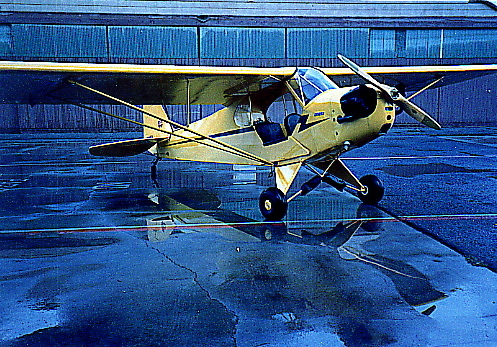 AVSTAR’s first corporate aircraft, 1967 Cessna 150G. 1966 Beech V35, D’Shannon 550, baffles, tip tanks. 1982 Beech C24R brought in after a gear-up. A Beech C23 Sundowner get a new leading edge. 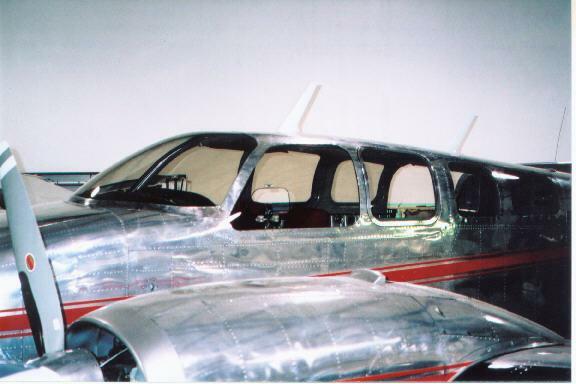 1950 Beech B35 needed skins. Beech H35 gets an inboard upper wing skin. 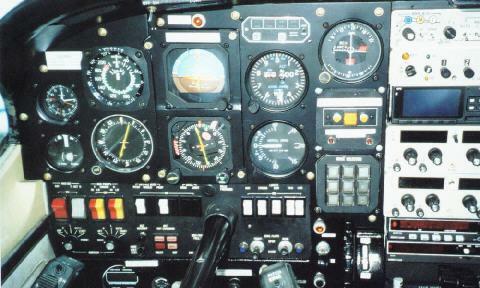 The “easy” way to work behind the instrument panel. Cessna T337H Skymaster and Cessna 175. “Low - rid - er”, a 1967 Bellanca Viking we picked up and put back together. A Beech S35 that we ironed a few wrinkles out of. And you thought it wouldn't leak? Continental injector screen packed with lint. A wrench found inside the aileron cove. Not the way to secure the tab hinge pin on an early ruddervator. Edge distance - what we took out, and what we put in. Interesting addition to a ruddervator counterweight.